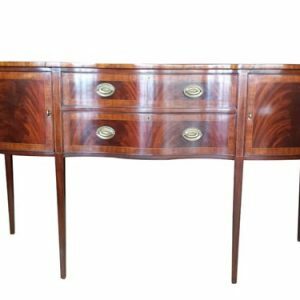 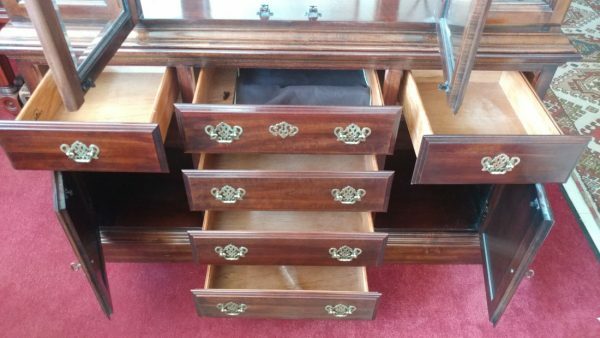 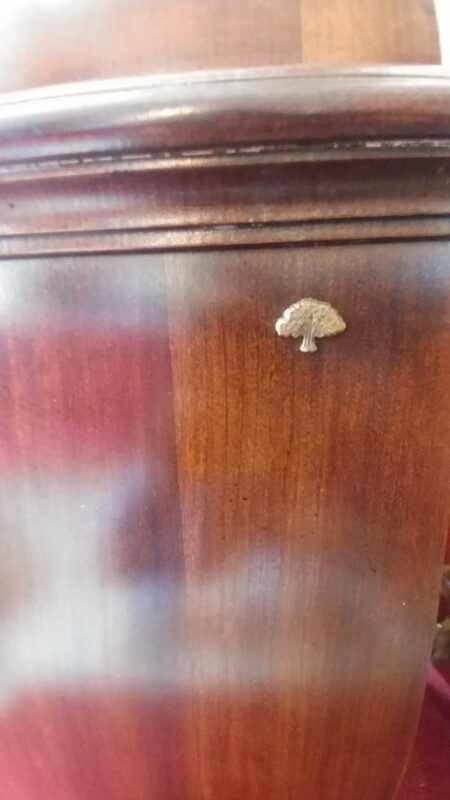 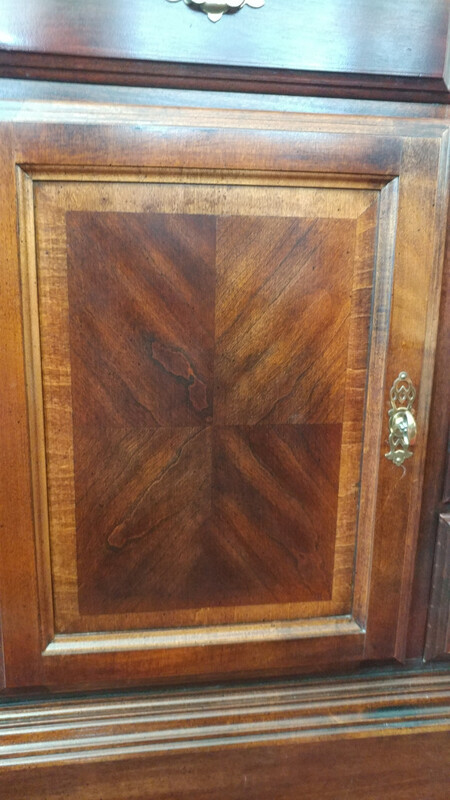 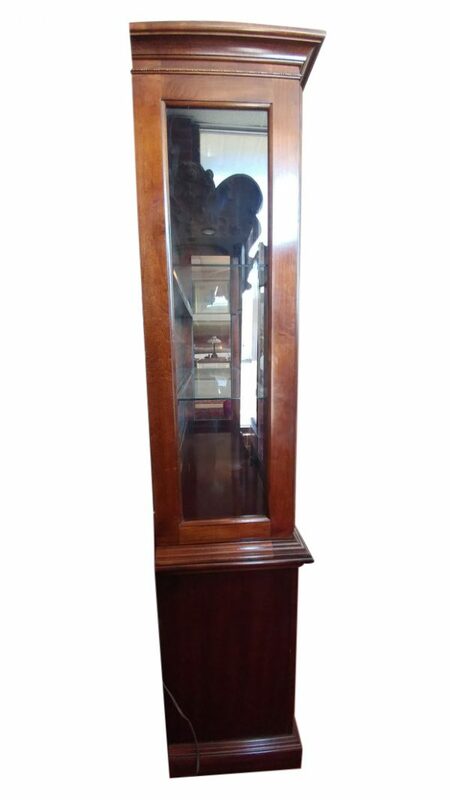 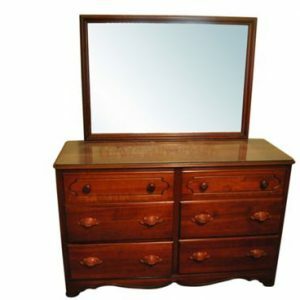 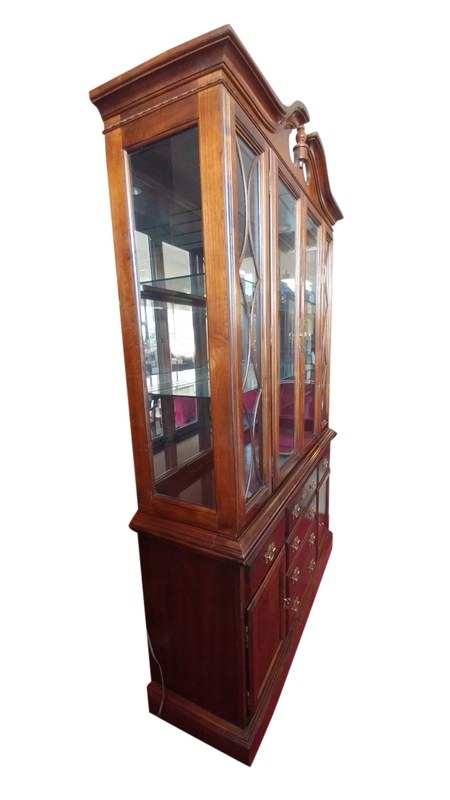 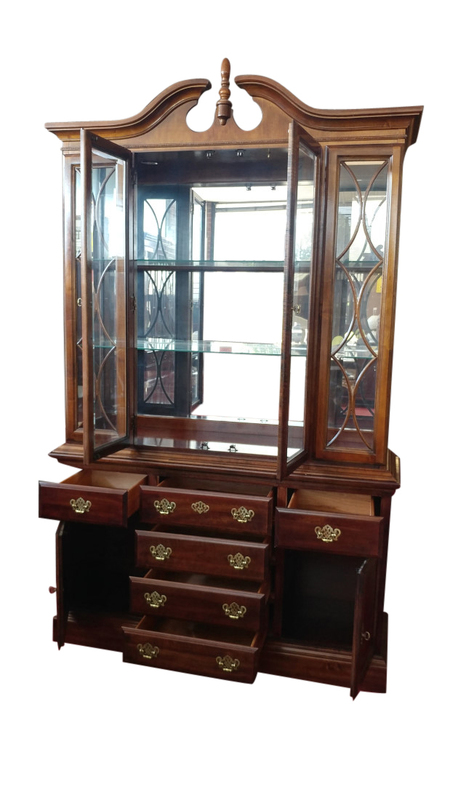 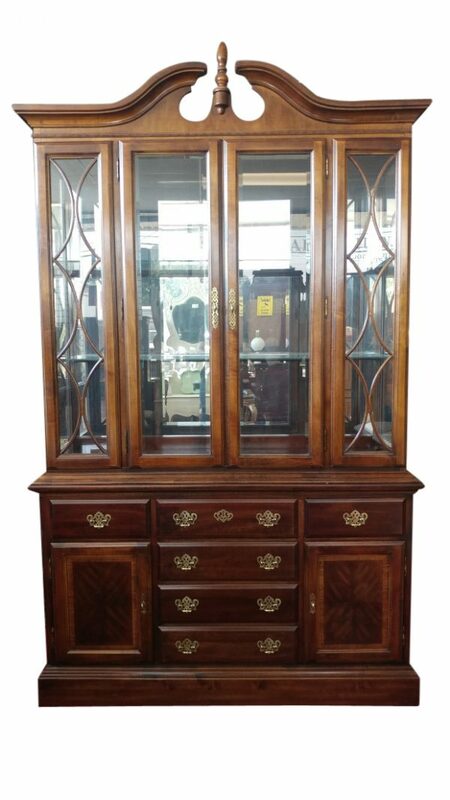 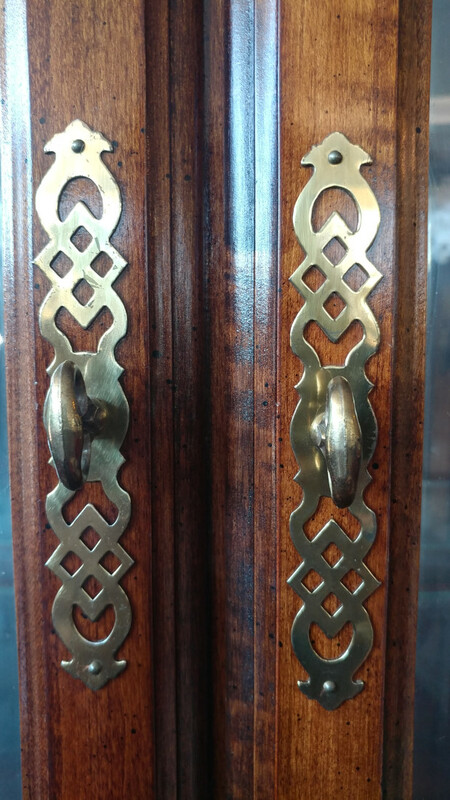 Very Elegant, Solid mixed woods, Cherry finish, Lighted china cabinet, Two Door, Hutch has glass sides, Beveled glass doors, 2 removable glass shelves, Mirrored back, Two working recessed lights, Brass hardware, 6 Drawers, Two storage cabinets, bottom doors have beautiful inlay design. 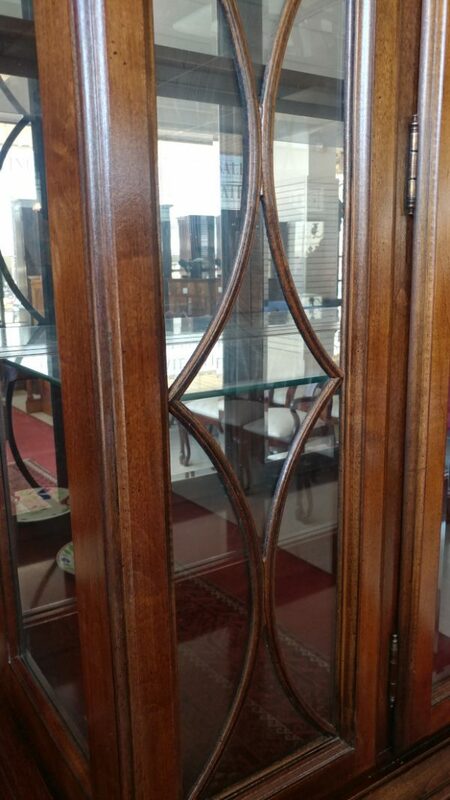 China cabinet is in 2 pieces. 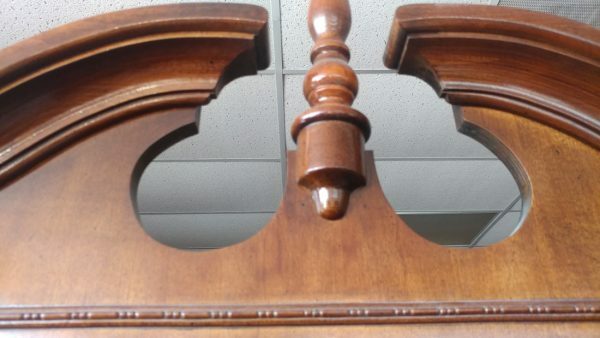 Very minor wear, looks almost new. 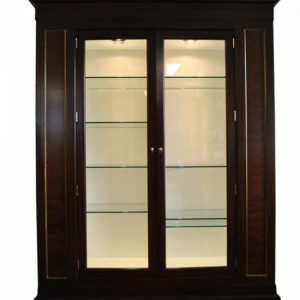 Measures: Overall 17″D x 54″W x 90″H. 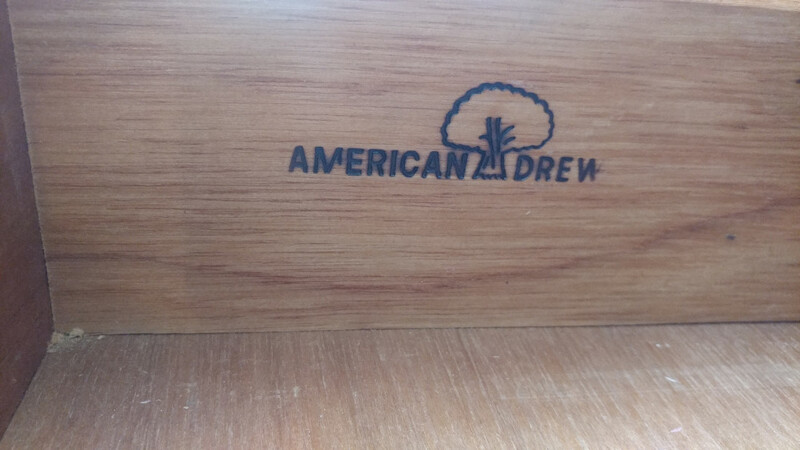 Bottom measures 17″D x 54″W x 32″H. 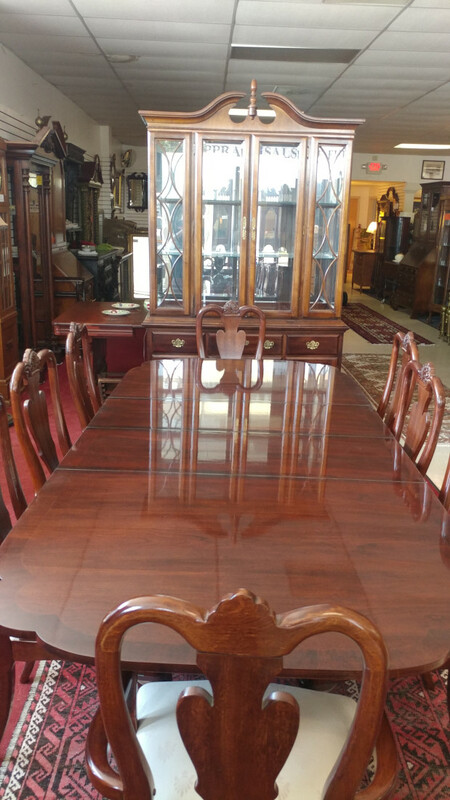 We also have the Set of 8 Dining Chairs and 8FT Dining Table.